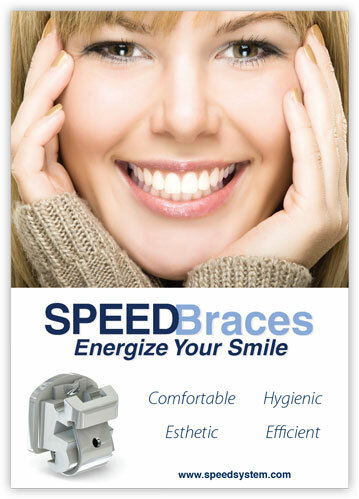 Active self ligating system such as SPEED™, Inovation , Empower eliminates the need to use elastics or metal ligatures that conventional orthodontic appliances necessitate to hold the orthodontic archwire in place. 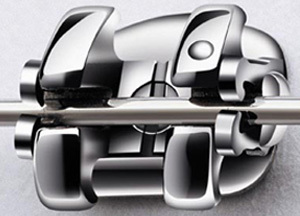 The wire is thus held in place by a Spring Clip in nickel-titanium shape-memory alloy which has the benefit to ensure a constant force . 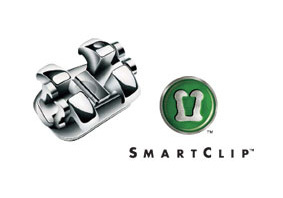 The clip, made of a nickel-titanium shape-memory alloy, allows a constant interaction between the orthodontic archwire and the bracket. Small archwires slide freely in the bracket slot. Bigger archwires activate the clip mechanism. Any deviation from the neutral position of the archwire in the bracket slot activates the clip and the latter brings the bracket bonded to the tooth back to the neutral position. 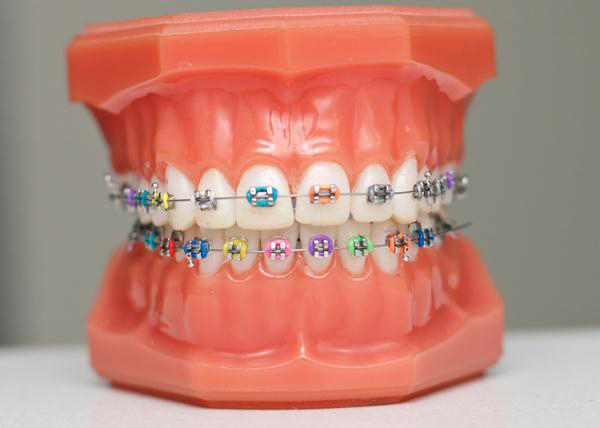 Therefore, the tooth moves toward the orthodontic archwire which is either flexible, if it is made of nickel-titanium, or rigid, if it is made of stainless steel. The interaction between the orthodontic archwire and the active clip of the bracket thus ensures a precise control in the 3 planes of space. Passive self ligating systems such as Damon and Smart clip differ from active systems in the way that a rigid clip such as a sliding door holds the archwire in place. 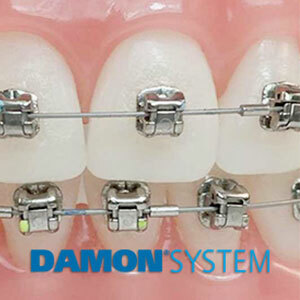 The clip does not apply any force on the orthodontic archwire and the alignment in the 3 planes of space can only be achieved by using a bigger archwire to fill the slot, which decreases the play between the interface of the archwire and the inside of the slot of the bracket, unlike active self-ligating systems where the clip participates in the repositioning of the archwire at the bottom of the bracket slot.